I challenged myself to take a picture of something from my kitchen to indicate blessing. Everything in a kitchen is ideally a blessing. However, to find a simple thing that can be a wonderful blessing was hard. Finally I found this kettle. This kettle is not used often but when we do we enjoy the goodness of that hot tea. I chose this as a blessing because, a teapot is always a blessing. It helps brew hot and warm cup of water or tea, we can entertain our guests,enjoy nice and deep conversations, set up a classy party, well the list goes on. 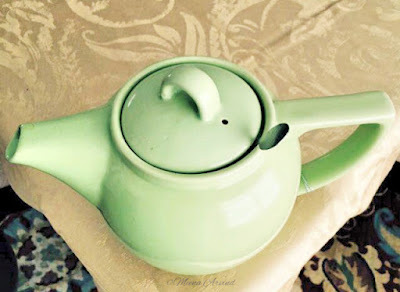 So, here is a pic of our lovely little teapot- a blessing indeed.